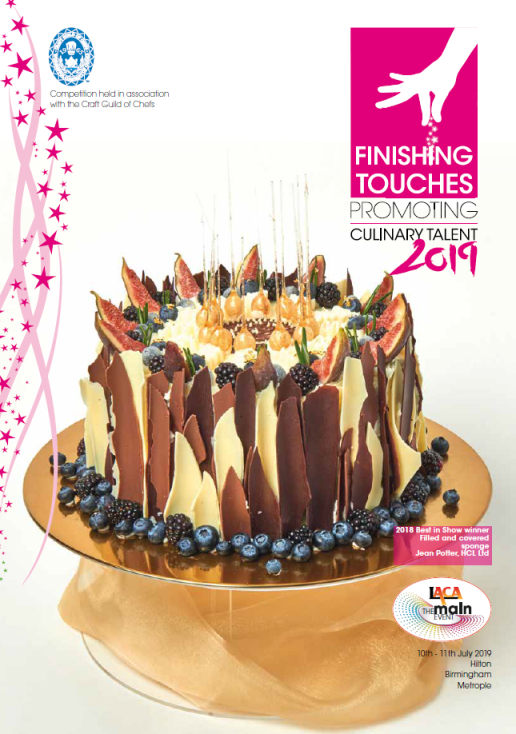 Co-run by LACA and the Craft Guild of Chef, the Finishing Touches culinary salon takes place during this year’s LACA: The Main Event (10-11 July) – providing entrants the chance to show off their skills. Now in its 12th year, the competition is aimed at all levels of staff employed across education catering, who are capable of creating craft pieces. Having impressed judges: Steve Munkley (Craft Guild of Chefs); Nick Wort (House of Commons); Matthew Shropshall (UCB); Lesley Herbert; Paul Taylor (Hilton Birmingham Metropole); Nick Hollands (former Royal Garden Hotel); and Leanne Oliver-Pulford (2017 Best in Show winner) with her filled/covered sponge entry, Jean Potter from HCL Ltd took home Best in Show 2018 and will join this year’s judging panel. There are two new categories for 2019 – Doughnuts and Sweet Macaroons. If you have any questions, please call 0845 108 5504 and one of the team will be able to help you.